Red Bull team principal Christian Horner has revealed Daniel Ricciardo's Brazil Grand Prix penalty was caused by damage done to the Australian's car by marshals in Mexico. Ricciardo will drop five paces down the grid for Sunday's race after taking a new turbocharger at Interlagos. Ricciardo suffered an eighth DNF of the season in Mexico City when a clutch issue caused a loss of power just nine laps from the end of a race which he was running in sixth. 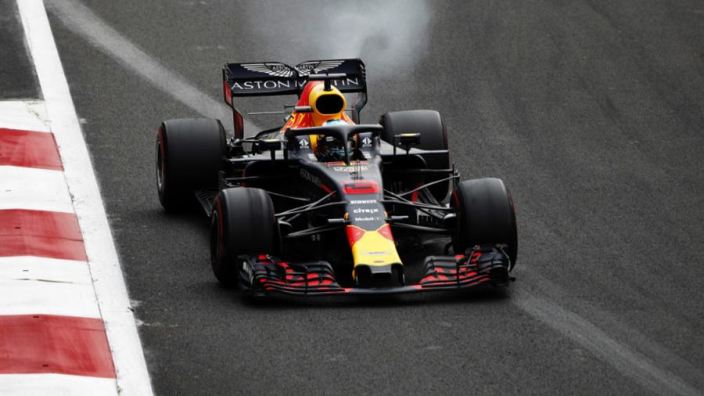 It has since transpired that extinguishant fired into the Red Bull's exhaust by marshals ended up causing even more damage, which means Ricciardo will have to fight though the field on Sunday. Horner holds no grudge with the Mexico marshals, however, and hopes Ricciardo can negate the damage on Sunday. "You can't really blame them, the car was obviously smoking," Horner told Sky Sports. "They shot foam up the exhaust and as it solidifies in the turbo it's terminated it. "So he'll take a five-place penalty. Hopefully on a track like this it's actually not that big a penalty." Ricciardo finish sixth in Brazil last year, having started 14th on the grid due to an engine penalty.